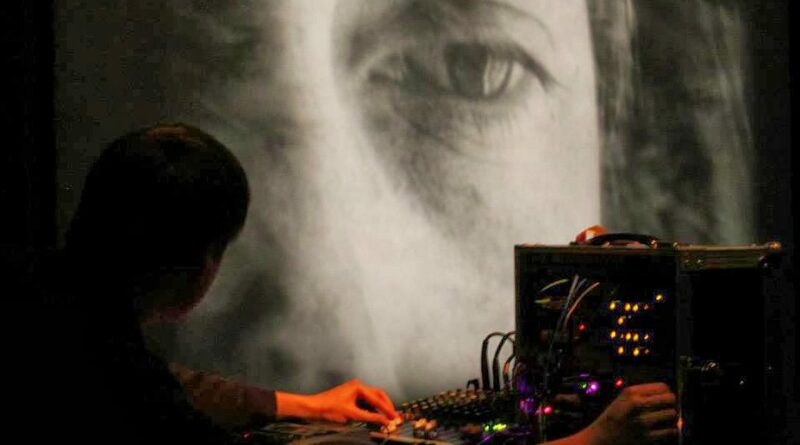 Two recent releases showcase different approaches to psychedelic electronica. Laurel Halo’s latest album for Hyperdub, ‘Dust’, is an excellent collection of mind-altering future-pop, vividly evocative. ‘Jelly’ is constructed like a view swiping past a moving car’s window: all sun glare, heat and breeze; fidgeting beats and oscillating electronic squiggles; harshly corrosive software-burnt vocals act as a counterpoint to the softly caressing production. The album is full of woozy off-centre clankclap beats, bass gloop and spiky organ riffs. Eli Keszler’s avant-percussion rattle enlivens the noir jazztronics of ‘Koinos’, resembling an exploded ‘Music To Interrogate By.’ Some of the tracks are short and sketch-like, such as ‘Arschkriecher’ featuring the amazingly named Diamond Terrifier on lowing sax. Laurel Halo somehow makes a coherent statement out of a woozily pitching diversity of material: day-glo synth bursts, hydrophonic hip hop, vocals that suddenly blossom into beautifully unintelligible multi-tracked smears, sudden precipitous descents into orchestral whistling. There is a sense of her discerning fleeting shapes in the shifting flames and warm glow of her imagination, locking onto and highlighting briefly coherent structures and stretching them into song-form. Everything seems off-beat, but intuitive, the mind-bending arrangements are often infectiously danceable, existing alongside tracks venturing into deep-weirdness; Laurel’s laconic vocals acting as a spine to the ever-shifting uncentred sounds. ‘Dust’ is immediately enjoyable but with a multitude of details you can get lost in over many listens. Children of Alice is the self-titled album, out on Warp records, from Broadcast alumni James Cargill and Roj Stephens, in collaboration with Julian House, co-founder of Ghost Box records. The name of the group is a nod to (the much missed) Trish Keenan’s interest in Alice in Wonderland. The whole first half of the record is taken up with a long-form descent into madness. A phone rings, the voice on the other end obliterated. Giggles and birdsong, a stifling summery confection. Wobbly dulcimers. An atmosphere of 70s childrens’ TV themes gone very wrong. Shifting from beatific nostalgia that is often revealed as a painfully forced gurn, pleasantly balming memories oozing into nightmarish configurations, subtly but definitely off. Hypnotic repetition is interleaved with sections of fumbling brain-clutter – bubbling test tubes, boinging noises, gramophone records heard through a wall, pipe organ gusts and weirdly flat moped whines and crystal-clear ringing tones. Side two’s three shorter tracks are no-less bizarre, featuring much sci-fi gloop and bashed tambourine. Ceremonial Wicker Man shenanigans. Wind chimes. Gongs. More giggling at something dreadful you’re not a party to. Deep dubbed-out echo-chamber-drops. Fairground ambience behind funk-rock riffing. Whipping. Ragged desperate breaths. Space-synth drunken arpeggios. If this album doesn’t quite reach the outer reaches of Broadcast’s collaboration with The Focus Group, ‘…Investigate Witch Cults of The Radio Age‘, it remains a wonderfully evocative and sonically-rich fumble around radiophonic cupboards; the music chopped, screwed, and minced into spinning luridity. Pin your ears open Clockwork Orange style, sit (be strapped) back and have this meandering thing worm itself into your skull. Spooky as the clockwork judder of a Jan Švankmajer animation. It reaches for that ineffably odd Valerie and Her Week of Wonders territory and succeeds in getting at least to its outer moats.